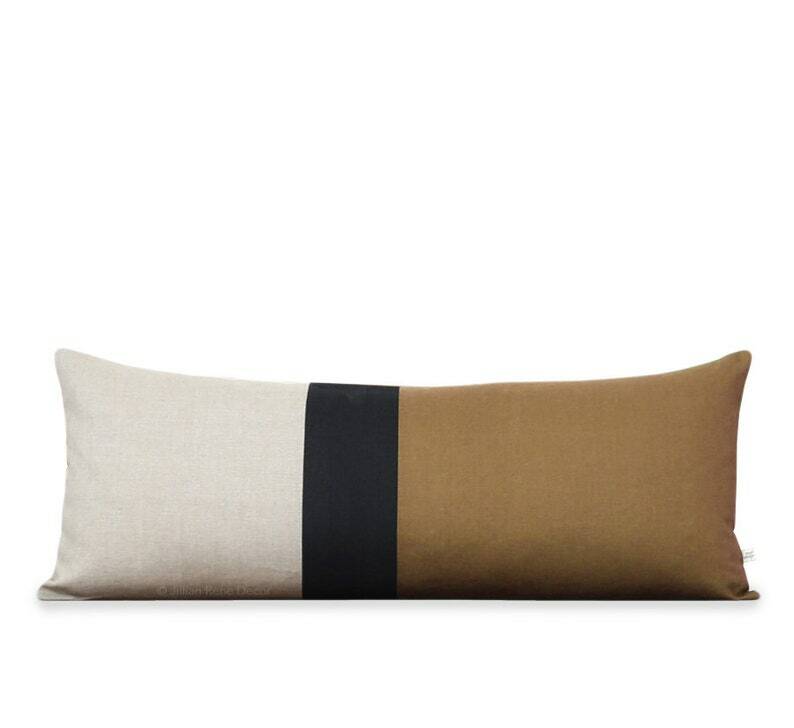 :: NEW Extra Long Design :: Our signature colorblock pillow just got bigger! 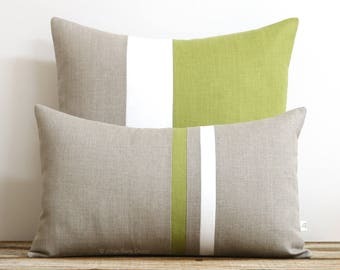 Colorblock stripes in caramel, black and natural give this linen pillow cover layers of texture with a masculine edge. This beautiful pillow will make the perfect accent on a bed, bench, sofa or sectional. It would also make a perfect housewarming gift too! - Front: caramel, black, natural linen color block stripes.